Longer hours mean lower job satisfaction – or so you might think. However, GFI’s small business employee survey indicates otherwise. According to respondents, those who have worked remotely report longer work weeks, with 26 percent working 50 hours or more compared to only 10 percent of those who haven’t worked remotely. Despite that, 75 percent of remote workers say the ability to get their jobs done without coming in to the office has improved their lives. Longer hours mean lower job satisfaction – or so you might think. However, GFI’s small business employee survey indicates otherwise. Respondents who have worked remotely report longer work weeks, with 26 percent of them working 50 hours or more. 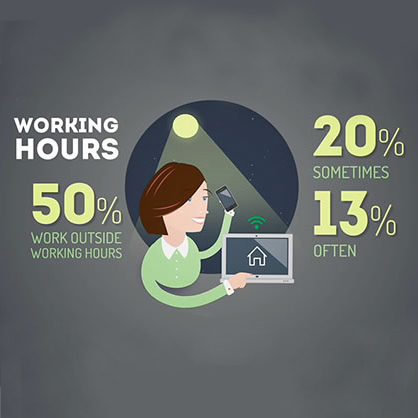 Of those who haven’t worked remotely, only 10 percent report a working week of 50+ hours. Despite that, 75 percent of remote workers say the ability to get their jobs done without going to the office has improved their lives. Regardless of gender or position, it’s the rise of mobile devices that makes remote work possible. But although there’s a perception that tablets are taking over the world, more of the remote workers surveyed most often use laptops (52 percent) or smart phones (51 percent) than iPads and their counterparts (35 percent). Regardless of what they use to connect, a majority said they – not their employers – own the devices. GFI’s research makes for compelling reading and the findings will be of interest to business owners and IT admins. 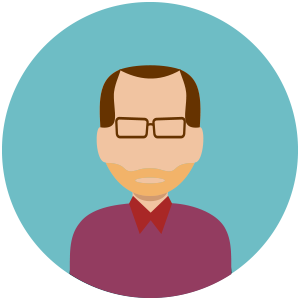 We’ve taken some of the salient points and created this brief animated video for you. Short and simple. If, however, you are interested in more detailed findings, here is a link to the full research results. Very interesting and helpful information! Employers often see an increase in productivity among remote employees and it greatly reduces absenteeism and employee turnover. Technology is always changing so make it a point to keep up with all the latest innovations and adopt them into your work plan. Time tracking tools like Worksnaps can also help multiple employees stay on task on the same project. You can see what one another are doing and check off milestones to remain on track. Nice survey results! Thnx4 publication.